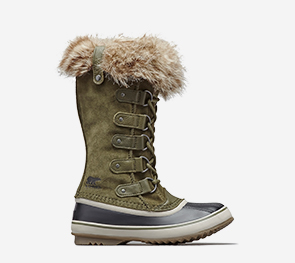 This blizzard-ready icon is at the top of the Joan throne. 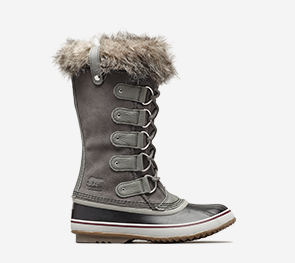 *25% off select styles and free Standard shipping with any online order. 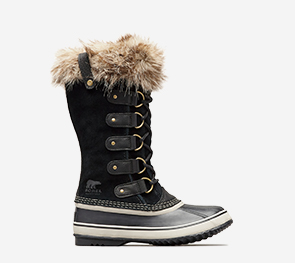 Offer valid at www.sorel.com only between 9:00 p.m. PST 1/9/2019 and 9:00 p.m. PST 1/31/2019. To receive discount, you must select the Standard shipping method at checkout. Offer may not be applied to prior purchases, combined with any other offer, redeemed by employees, or applied to gift card purchases. 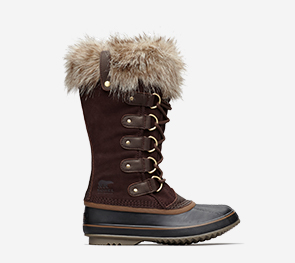 SOREL reserves the right to change or cancel this offer at any time. Offer is void where and to the extent prohibited by law, restricted, or taxed and if assigned, transferred, sold, bartered, or reproduced. Customer pays applicable taxes. 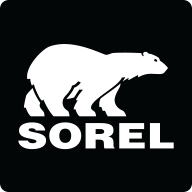 SOREL and the SOREL design logo are registered trademarks of SOREL LP. ©2019 SOREL. All rights reserved. OFFER EXPIRES: 1/31/2019.